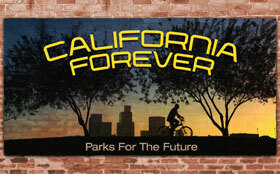 Frame from PBS documentary – California Forever. 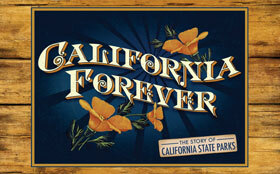 From PBS documentary – California Forever. 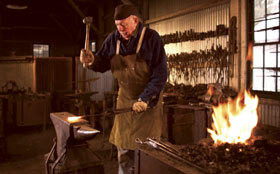 Blacksmith shop – Empire Mine State Historic Park Frame from PBS documentary – California Forever. 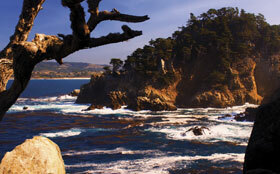 Point Lobos State Natural Preserve Frame from PBS documentary – California Forever. 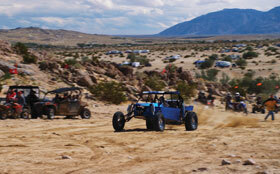 “Sand-rail” launches across the dunes at Ocotillo Wells State Vehicular Recreation Area in San Diego County. Frame from PBS documentary – California Forever. 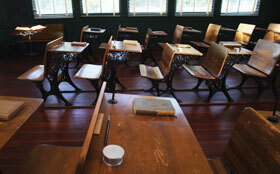 copyright 2011 – Backcountry Pictures Inc.
One room schoolhouse at Colonel Allensworth State Historic Park in the San Joaquin Valley. The town of Allensworth was established as an agrarian community by freed slaves in 1900. 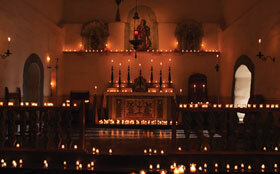 Restored chapel within La Purisima Mission State Historic Park on the Central Coast of California. 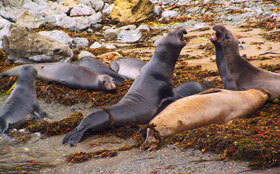 Bull elephant seals spar at Hearst San Simeon State Park on the Central Coast of California. 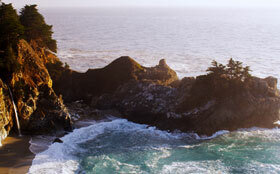 McWay Falls, Julia Pfeiffer Burns State Park on the Big Sur Coast of California. 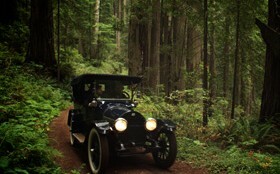 1917 Buick Touring Car on the original Highway 101 in Del Norte Redwoods State Park. 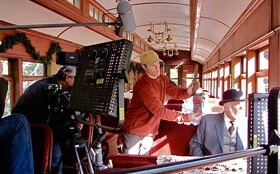 Frame from a historic recreation staged for Episode One of California Forever, coming to PBS in the fall of 2012. 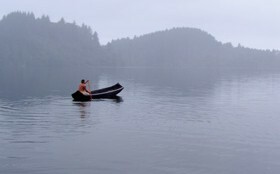 Zack Brown of the Yurok Nation paddles a traditional redwood dugout canoe across the fog shrouded waters of Humboldt Lagoon State Park on the North Coast of California. 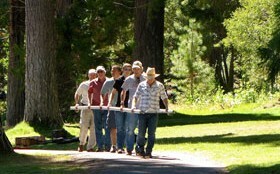 Frame from a historic recreation staged for Episode One of California Forever, coming to PBS in the fall of 2012. Backcountry Pictures teamwork while shooting California Forever. 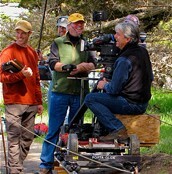 Moving dolly track at D.L. Bliss State Park – Lake Tahoe. 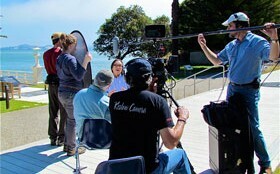 Backcountry Pictures records interview for California Forever at Angel Island State Park. Backcountry Pictures shares a light moment while shooting California Forever at Point Lobos State Natural Preserve. From left to right, Camera Assistant-Josh Heller, Sound Recordist-Fred Runner, Director-David Vassar, Director of Photography-Christopher Tufty. Backcountry Pictures shooting California Forever on location in Big Basin Redwoods State Park – California’s second state park. Backcountry Pictures shooting California Forever on the Roaring Camps Railroad with actor Robert Koroluck portraying Andrew P. Hill, who led the fight to establish Big Basin Redwoods State Park in 1900. 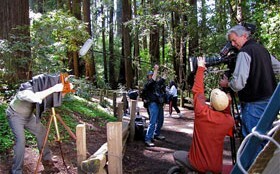 Backcountry Pictures shooting California Forever in Henry Cowell Redwoods State Park with actor Robert Koroluck portraying Andrew P. Hill, who led the fight to establish Big Basin Redwoods State Park in 1900. 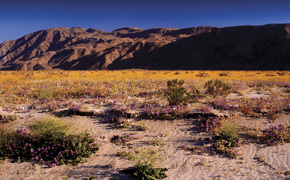 Photo by California State Parks – copyright 2010. Sun breaking through the trees as Backcountry Pictures shoots California Forever in Henry Cowell Redwoods State Park. 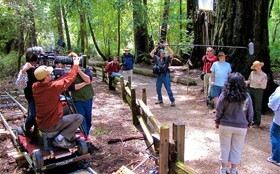 Director of Photography, Christopher Tufty, studies the scene while shooting California Forever at Henry Cowell Redwoods State Park. 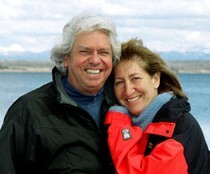 David Vassar and Sally Kaplan, producers, California Forever. Photo by Backcountry Pictures – copyright 2008. 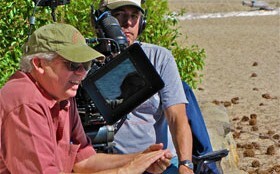 Backcountry Pictures Director, David Vassar (foreground) with Director of Photography, Christopher Tufty on the set of California Forever. 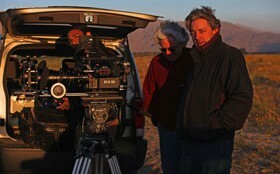 Five O’clock in the morning at Anza Borrego Desert State Park while shooting California Forever with Director, David Vassar (center), Director of Photography, Christopher Tufty (right) and Digital Image Technician, Michael Watson (left). 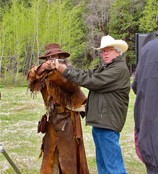 Backcountry Pictures, Director, David Vassar lines up a shot for California Forever with Scott Brown portraying Augustus T. Dowd, the hunter credited with the discovery of the Calaveras Grove of giant sequoias in 1852, now Calaveras Big Trees State Park. 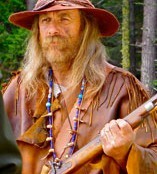 Scott Brown portrays Augustus T. Dowd, the hunter credited with the discovery of the Calaveras Grove of giant sequoias in 1852, now Calaveras Big Trees State Park. From the Backcountry Pictures production of California Forever. 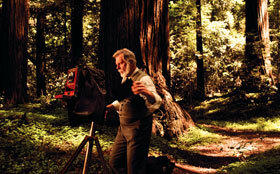 Robert Alan Martin portrays Frederick Law Olmsted in Yosemite Valley for the Backcountry Pictures production of California Forever. Olmsted served as Chairman of the Yosemite Commission when management of the park was granted to the State of California in 1865. 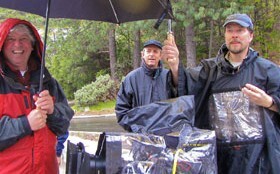 Backcountry Pictures waits for the rain to stop so they can continue filming California Forever in Yosemite Valley. Left to Right: Director, David Vassar; Director of Photography, Christopher Tufty and Sound Recordist, Fred Runner. 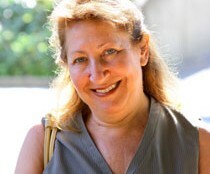 Producer for Backcountry Pictures, Sally Kaplan. Photo by David Vassar – copyright 2010. Backcountry Pictures Director, David Vassar and Director of Photography, Christopher Tufty on location at Lake Tahoe shooting California Forever. 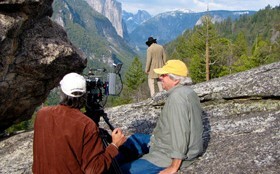 Director David Vassar and Director of Photography, Christopher Tufty set up a shot for the Backcountry Pictures production of California Forever in Yosemite National Park. 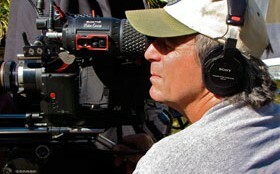 Director of Photography, Christopher Tufty shoots a scene for the Backcountry Pictures Production of California Forever. 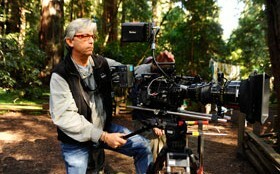 Copyright – 2012 – Backcountry Pictures Inc.
Christian White, editor of California Forever in his “Mythic” Avid Symphony HD-CAM SR finishing suite.